Abhishek Singh had 10 points from 17 raids and added two from tackles to finish with 12 points. 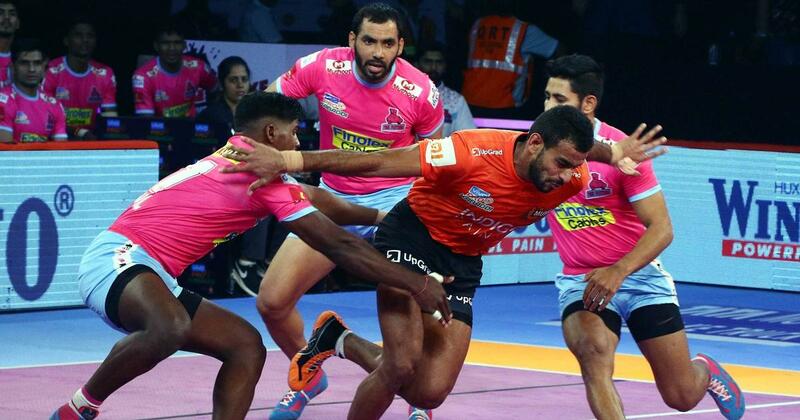 U Mumba began their home leg on a winning note as they comfortably trounced Jaipur Pink Panthers 48-24 in the Pro Kabaddi League match at Mumbai on Friday. It was a dominant show from U Mumba, who gave their opponents virtually no chance with strong tackles and equally strong raids. With the win, U Mumba pocketed five points and moved to the top of Zone A with 39 points from nine matches. With Siddharth Desai and Rohit Baliyan on the bench, it was left to Abhishek Singh and Darshan Kadiyan to shoulder the responsibility and the two rose to the occasion in a grand fashion for the hosts. Precision raids from Abhishek and Darshan gave U Mumba early lead. With captain Fazel Atrachali a constant danger as he lurked in the left corner, waiting to pounce at the slightest opportunity, it was just eight minutes into the first half before the host team effected the first all out. U Mumba, after forcing the second all out with 14 minutes gone on the clock, extended their lead to 19/4. With all-rounder Vinod Kumar also lending his might in attack and Rohit Rana standing like a rock in defence in the centre, the lead kept increasing steadily to end at 26-8 at the half time. There was no respite for Jaipur in the second half as U Mumba kept up the momentum and emerged victorious with ease. Abhishek had 10 points from 17 raids and added two from tackles to finish with 12 points. Jaipur player Anup Kumar admitted their performance wasn’t good, but promised to stage a comeback in the next match. “We will try and do well in our next match,” he noted. 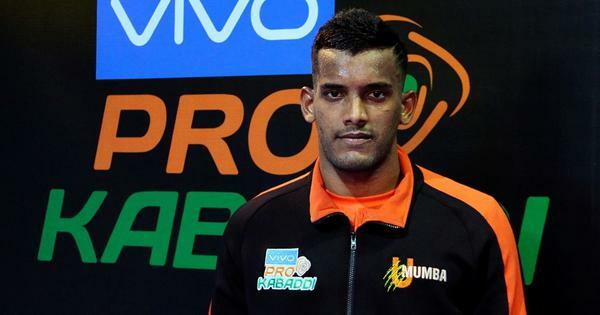 U Mumba take on Gujarat FortuneGiants Saturday.